A fabulous Kimberbell one-day event during the busy holiday season—we’re talking less stress, more sparkle! 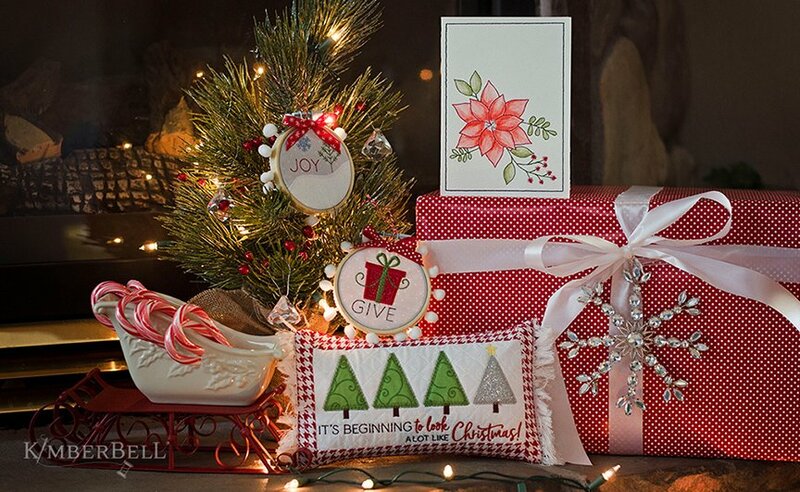 Finish four festive projects including two Christmas ornaments, a premium watercolor card, and quilted decorative pillow. Enjoy the machine embroidery fun with Kimberbellishments, including bamboo hoops for ornaments, watercolor pencils with blending brush, and pillow form. Pick out your coziest winter sweater and sparkle all the way to Kimberbell’s one-day Christmas event!